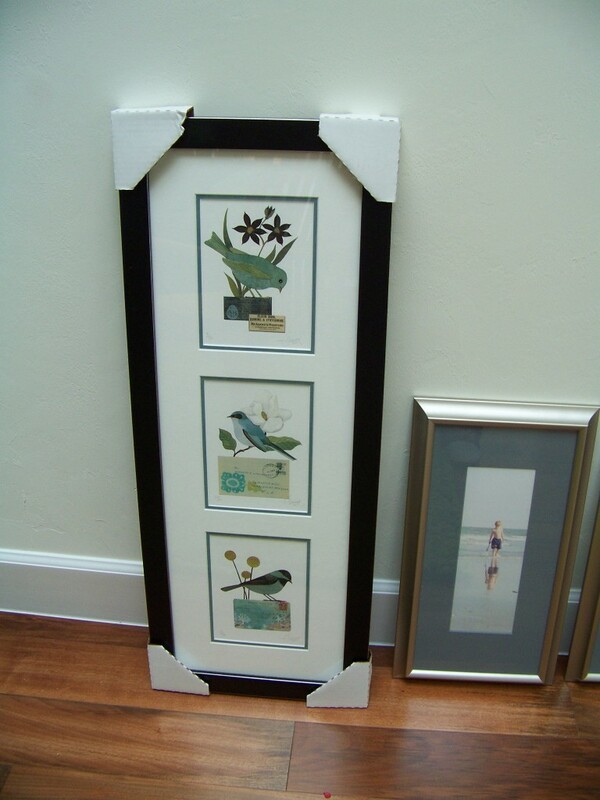 Long before I moved into Biddan Ridge, my collected art work waited for framing. Within a week of taking occupancy, my artwork arrived. I have a special affinity for an artist I discovered on Etsy or out meandering in the blogosphere: Geninne Zlatkis. See her amazing eye here. I have her birds framed in my powder bath and in my great room. They were the inspiration for birds in the house. I asked Geninne if she’d draw me a bird for this blog’s header. She has gratefully agreed and I submit my new Biddan Birdie as seen here. It will arrive soon and take up residence. I am so happy.